I was introduced to periodization of squash training during my 1987 Squash Canada Level 4 Coaching Certification Course by Rene Denis. At the time Rene was the Canadian Jr. Men’s National Coach (I was his assistant – his teams included Jonathon Power and Graham Ryding), but he also collaborated with Tudor Bompa in designing a periodized version of a Training Diary for National Coaches – that is, all coaches – all sports. He was the Course Conductor (Tutor for Commonwealth folk) for the Planning Task. The final assignment for the Level 4 Course was to submit a periodized annual plan for all of the training factors: technical, tactical, physical and psychological. What is a bicycle? I mean bi-cycle in periodization terms? It is an annual training and competition plan with two peaks (hence “bi”). Periodization is the division of a certain time period into “cycles”. A concrete example would be a college, high school or junior athlete in North America who has just finished their March 1st championships, but want to play in the National Championships in mid- or end of April. According to Bompa (and other periodization or periodisation experts) an athlete can only peak three times a year, holding each peak for about 7-10 days. Usually the most important competition should be the final (i.e., second or third) peak, but that is not always the case. In order not to burn out and be able to peak repetitively, each major competition needs to be followed by a transition period. The major championship at the end of the year should be followed by a 4-6 week transition period where recreational fitness activities (roller blading, swimming, soccer, etc.) take priority, and squash takes a backseat. This low stress, low intensity is an absolute requirement for the long term development of athletes. Transition periods that occur during the training year are shorter (1-3 weeks), and can contain more squash-specific activities, but will usually feature a drop in training volume (from 5-6 days of training a week to 2-3), and intensity (no need for lactic training or maximal effort match play) in order for the athlete to regenerate physically and mentally. This of course, explains why it is so difficult for the squash touring professional to play well throughout the year – unless they are significantly better than their peers (e.g., Janhangir Khan, Janshir Khan, Susan Devoy, Sarah Fitzgerald). During this type of transition period, I encourage my players to play twice a week, either squash or British Racketball (due to its similarity to squash), and I also encourage them to work out twice a week in order to help maintain (or minimize losses) their strength and aerobic abilities. Here is the program I have prescribed this year. I have chosen exercises that can also be performed without any equipment as the this year’s transition period falls during our college’s Spring Break: sq-transition-fitness-program . The program challenges stability and strength-endurance versus maximum strength, and minimizes impact (no running or plyometrics). 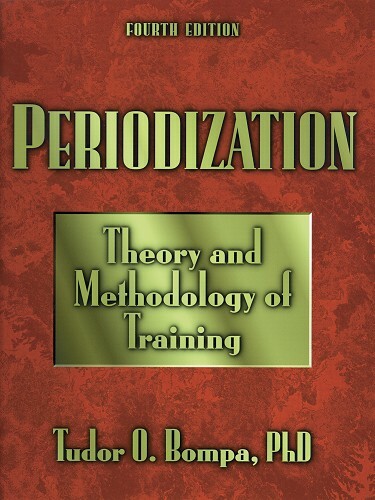 I have been teaching periodization and related concepts to squash (and other sport) coaches since 1987. It is important to note that most sources (including Bompa) on periodization are limited to the physical training aspects, and ignore the technical, tactical and mental aspects so important to racquet sports. Recognize the need for planning periods of regeneration into your athlete’s annual training plan. Transition period activities should be of lower intensity and volume. Two workouts a week are required to maintain a physical or technical quality. This entry was posted on Friday, March 6th, 2009 at 6:10 AM and is filed under Physical-Physiology, Planning. You can follow any responses to this entry through the RSS 2.0 feed. You can leave a response, or trackback from your own site.